Similar to shallower conspecifics, mesophotic scleractinian corals found at ~ 30–150 m depths maintain important symbioses with photosynthetic microalgae in the genus Symbiodinium. Despite the importance of coral-algal symbioses in corals’ ability to thrive in multiple dynamic environments and potential role in connectivity, few studies have focused on mesophotic Symbiodinium assemblages. This study examines these assemblages in Montastraea cavernosa found at shallow (20–25 m) and mesophotic (45–50 m) depths at Flower Garden Banks National Marine Sanctuary and McGrail Bank, in the northwest Gulf of Mexico. 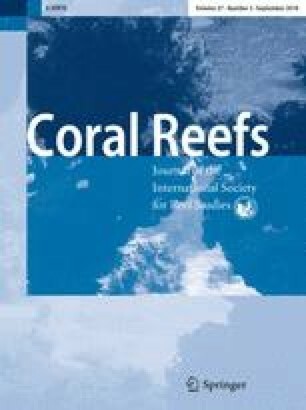 Mesophotic corals contained significantly more Symbiodinium cells, more chlorophyll a per Symbiodinium cell, and more chlorophyll a and c2 per unit area coral tissue than shallow corals. However, both mesophotic and shallow M. cavernosa contained similar chlorophyll c2 per Symbiodinium cell. Next-generation sequencing of the internal transcribed spacer region (ITS2) of the ribosomal DNA indicated similar Symbiodinium assemblage diversity at all banks and between depths. All assemblages were dominated by sequences most closely related to S. goreaui, type C1, with three additional low-abundance sequences, identified as 2 C types and 1 A type, also consistently observed among colonies. Both the dominant C1 sequence and the background sequences persisted over two sampling years. These results suggest that algal symbiont assemblages will not limit connectivity potential in M. cavernosa in the northwest Gulf of Mexico. Furthermore, we hypothesize that increased Symbiodinium abundance may represent an effective light-harvesting strategy on light-limited mesophotic coral reefs. We are grateful to staff of the Flower Garden Banks National Marine Sanctuary, the crew of the R/V Manta, the University of North Carolina at Wilmington Undersea Vehicle Program, and the divers for their assistance with sample collection. All samples were collected under permit number FGBNMS-2014-014-A1. We also thank the Genomic Sequencing and Analysis Facility at the University of Texas at Austin and the Scripps Research Institutes in Jupiter, Florida, and La Jolla, California, for sequencing services. We appreciate contributions by M Studivan on analysis of temperature data. 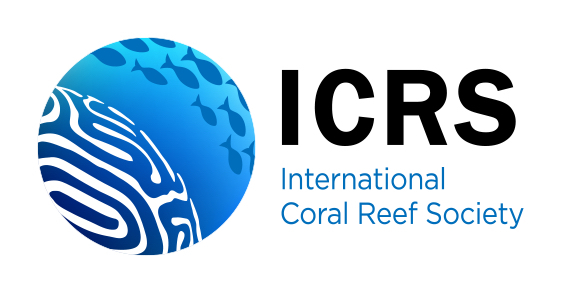 This study was funded by the NOAA Office of Ocean Exploration and Research under awards NA09OAR4320073 and NA14OAR4320260 to the Cooperative Institute for Ocean Exploration, Research and Technology (CIOERT) at Florida Atlantic University’s Harbor Branch Oceanographic Institute. Additional funding was provided by a donation from the Danbury Fund to Harbor Branch Oceanographic Institute and by a Florida Atlantic University Graduate Research and Inquiry Program grant. This is Harbor Branch Oceanographic Institute contribution number 2150.